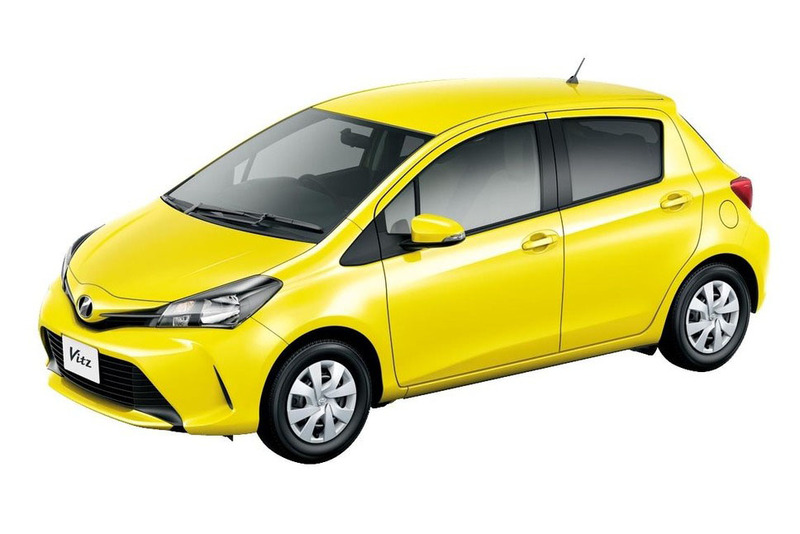 Toyota Vitz is a smart n bold urban subcompact hatchback car provides a wonderful appeal for customers to make an instant decision to buy. It is a family-friendly 5-door hatchback car provides an exciting and leisure some driving journey experience. This Japanese hatchback car has been the most popular vehicle among customers all over the world and still holds a wide market demand with a newly redesigned look. We are going to compare the older third generation version with the latest facelift redesigned version recently unveiled in January 2017. The third generation version was introduced with a sporty and trendy sleek robust exterior design structure consisted of rectangular shaped front LED headlights, curvy shaped bonnet, front grille, lower emblem grille, front bumper, 14-inches aluminium wheels, indicator lights, and power side-view door mirrors. The latest redesigned iconic version recently comes up with a dashing aggressive style spider-shaped exterior design built with a solid and rigid aerodynamics structure combining with bigger front illuminating Bi-Beam LED headlights, black stylish trapezoidal shaped lower emblem grille, under spoiler fog lights, front bumper, automatic electric retractable remote control colour door mirrors, and aluminium wheels. On the rear side, it shows an attractive catchy display view with rear spoiler brake light, LED taillights, rear radio antenna, rear bumper, and a transparent rear windscreen with a single intermittent wiper. The body colour choices have also been immensely enhanced with an avant-garde bronze metallic, black mica, blue metallic, clear blue crystal shine, grey metallic, Luminous yellow, orange metallic, silver metallic, super red, white, and a pearl crystal shine white. The interior design is a capacious 5 passenger seating accommodation with super luxury premium leather fabric front and rear seats. All the flexible and folding down seats offer true ease of legroom and headroom space for passengers. The rear side compartment offers a wider storage capacity with a swinging open backdoor. The front side dashboard cockpit panel provides a modern exquisite touch with a noticeable appeal. The essential features are included as smart entry and start system, 4.2 inches TFT LCD Multi-information display, 9-inches T-Connect Navigation, super ultra-violet and Infra-Red front door glass, thermal seat, auto air-conditioner, tilt steering, illuminated entry system, sun visor with vanity mirror, Anti-theft system, multi-view back guide monitor, and blind corner monitor. Safety Features are Toyota Safety Sense C, pre-crash safety system, lane departure alert, automatic high beam, drive start control, emergency brake signal, hill start assist control, vehicle stability control, traction control, electronic brake force distribution, and brake assist. The SRS airbags, pedestrian injury mitigation body, and electronic controlled hybrid brake system are also essential driving safety features. Aside from the older version which was fitted with 1.3 litres of gasoline the present version is available with 1.5 litres of petrol fuel and powered by super CVT-I Automatic Speed Transmission with a nickel metal hydride battery for a powerful hybrid drive. A brand new version is much better than the older one in terms of design, comfort, capacity, and performance. The dynamic hybrid feature amazing value with an extremely increasing market demand for keen buyers all around the world.